Sign up for Advanced Submission this Week! This is the last week to register for the Advance Submission Program. For those of you hoping to schedule a private meeting with an editor or agent at this year’s conference, the deadline to sign up online for the Advance Submission Program is May 1. You must be a registered participant to take part. Also, all manuscripts must be mailed in no later than May 7, 2016. Visit sbwriters.com for more information. 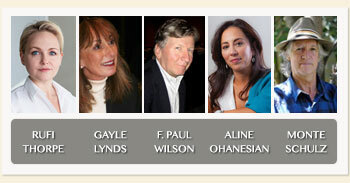 We have ten participating agents/editors who represent a variety of genres including nonfiction and memoir. Find out more about our confirmed agents/editors by clicking on their names below: Corinna Barsan —Senior Editor, Grove Atlantic Paul Fedorko— N.S. Bienstock, Inc. Lucas Hunt — Orchard Literary Jennifer March Soloway —Andrea Brown Literary Agency Toni Lopopolo — Toni Lopopolo Literary Management Jill Marr — Sandra Djikstra Agency Angela Rinaldi — The Angela Rinaldi Literary Agency Erin L. Cox—Rob Weisbach Creative Management Annie Hwang —Folio Literary Management Eric Myers —Dystel and Goderich Literary Management We hope you’ll join us for another amazing and inspirational year. Advance Submission Deadline May 1.